TWENTY SECOND SUNDAY: SOUL FOOD FOR HUNGRY ADULT COMMUNITIES`: SEPTEMBER 1, 2013. Gospel: Luke 14:1 and 7-14. Reading 1: Ecclesiasticus 3:17-20, 28-29. Reading 2: Hebrews 12:18-19, 22-24. Click here for Mass Readings for today. Of Ladder, Jockeys, and Bicycle Wheels. An American TV commentator said, some years ago, in words like these: ‘the greatest tragedy is not when you have a dream to get to the top and fail to reach it, but rather when you get to the top, that you find your dream was empty.’ For those who climb ladders in life, and who seek to pass out others, there’s a little message that they have not noted, in the Scriptures: namely, that you are already away ahead of every one else, and every one else is away ahead of you!,- in other words, that we are all of us Number One in the eyes of our Maker. No need to climb! You are there, already. Jesus was watching carefully all the jockeying that went on among the people at the banquet. And thirty or more years after that, in the Christian communities, we know from other texts that indeed there was inequality of treatment of people, at the Eucharistic Assembly. The poor were left at the back, the rich brought up to the front: some had nothing to eat, others had plenty that they would not share. But with Jesus, and in our Christian communities today, ‘the poor, the lame, the crippled and the blind’ were and are VIP’S. And what was amazing to the world of that time was to see all this concoction of people, -Jewish disciples of Jesus, Samaritan disciples (usually hated by the Jews), Gentiles, ‘Pagan’s (meaning from the countryside! ), social outcasts, sick people, widows, orphans, crippled people, young and old, slaves and their masters or mistresses together,- all of them sitting down together at the one table, slaves and free, men and women, Gentiles and Jews,- all gathered around and for the One Lord Jesus, to be energised by the fire in him for people. 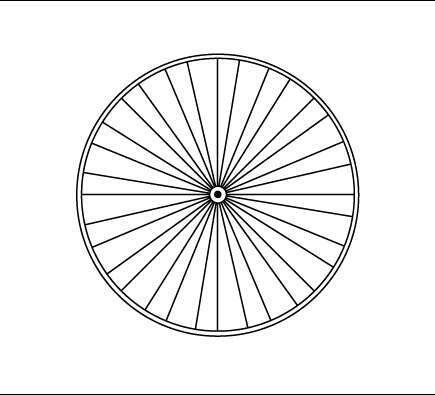 Bicycle Wheels?- it could be an image of a Christian community, both in worship and in our daily living, where the Centre is Jesus Christ, the Risen Lord, where each is connected to that Centre, and together we go out to the edges, with strength from the Centre and support for one another. ‘We are all one person in Christ,- no more Gentiles nor Jews, slave or free, male or female,- all one person in Christ.’ (St. Paul). We come into the Centre for strength, we go out from that Centre with energy to the edges and the margins of society, to serve and live what we have received. In our parishes and communities, we are each Number One: the lowly are raised up, the mighty brought down to size, until every one is ‘a first-born’ child of God, loved as if the Only One. The Gospel today is not about social graces and behaviours,- it’s about how humans live together, how Christian communities show to the world the dignity of each and the unity of all. 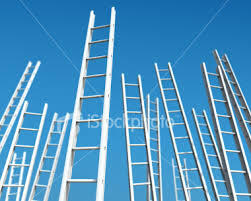 There are no ‘ladders’ in our communities. Just wheels,- people, radiating out from and with Christ to the world. Are we Climbers? Jockeys? Or Radiating Family? P.S. Could you find a way to discuss this with even one other friend, and see what God’s word today is saying to you, where you are and as you are. That’s being ‘community’ already! And ‘where two or more are gathered in my name, there I am in the midst of them’ says Jesus to us. ← Soul Food for Young Adult Communities: Sun. Aug. 25 2013, 21st Sunday in Ordinary Time.